If we know anything about tiny humans, it’s that they love to help. Whether it be sharing a snack or helping in the kitchen, if they think they can help, a toddler is first to volunteer. It isn’t because they were raised in any special way; science has proven that young children get a positive boost in their emotions when helping others. As they reach school age and other factors are introduced into their environment, it is important to continue to instill this good quality. The world feels scarier every day, but it doesn’t have to be. Today is World Kindness Day – so let’s take a moment to do something kind for one another. And while you are at it, inspire a student to do the same. Children learn by example, and being kind feels good. The Golden Rule isn’t just a saying. Kindness shouldn’t be forced or done only to get something back. The reward is the goodness you feel inside. Don’t teach sharing with a bribe. Like a smile, being kind is contagious. Encourage students to be kind to one another by offering examples. Discuss ways to be kind. Hang inspirational posters. Be the friendly face your student can count on to brighten their day. Who doesn’t want to be a ray of sunshine? If you would like to learn more about World Kindness Day, contact Simple Acts of Care and Kindness at 866-459-7225 or visit www.simpleacts.org for additional information. Stick with friends. There is safety in numbers. Avoid being alone in target areas like locker rooms, restrooms, and places where the bully hangs out. Be assertive and confident. Use body language to show you are not afraid. Stand up straight and make eye contact. Ignore the bully. Walk away. Don’t respond. Get out of the situation. Agree with the bully’s comments, then walk away. Don’t seek revenge. Remember that using violence to solve problems only makes things worse. Get help. If you are being bullied, don’t keep it a secret. Report all bullying incidents to friends or adults. Don’t be a bystander. When no one speaks up, bullies learn they can get away with it. Refuse to join in. Don’t take part in the bullying. Refuse to even watch. Speak out. Distract the bully by changing the subject or using humor. Stand up for the victim. Tell them to stop. Give support. Be a friend. Make an effort to include others who are normally left out or rejected. Get an adult. Report any bullying you see to teachers or other adults. They can set clear, nonviolent consequences for future bullying behavior. Your friends can go with you to talk to a teacher, counselor, coach, or parent, in case you’re nervous to go alone. If you would like to learn more about bullying prevention, contact Simple Acts of Care and Kindness at 866-459-7225 or visit www.simpleacts.org for additional information. Siblings have been documented as fighting since the time of Cain and Abel, but is it possible for it to go beyond sibling rivalry and into more of a bullying issue? New research suggests that even when there are no physical scars, aggression between siblings can cause psychological wounds as damaging as the suffering caused by bullies at school or on the playground. The findings offer an unusual look at an area of family life that has rarely been studied, in part because fighting among brothers and sisters is widely considered a harmless rite of passage. Unfortunately, in this day and age, it is difficult to distinguish what is harmless teasing and what is deeply affecting a child at home. Ordinary skirmishes over the remote or joystick are one thing, constant physical and verbal abuse is another. Normal rivalries with siblings can encourage healthy competition but when the line between healthy relations and abuse is crossed it is cause for alarm. When one child is consistently the victim of another and the aggression is intended to cause harm and humiliation, it is then to be considered a serious situation. Nationwide, sibling violence is the most common form of family violence. It occurs four to five times as often as spousal or parental child abuse. According to some studies, nearly half of all children have been punched, kicked or bitten by a sibling, and roughly 15 percent have been repeatedly attacked. But even the most severe incidents are under-reported because families are reluctant to acknowledge them, dismissing slaps and punches as horseplay and bullying as kids just being kids. 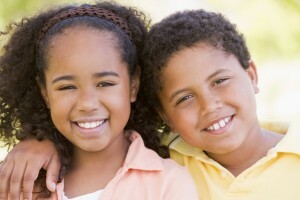 If you would like to learn more about sibling rivalry, contact Simple Acts of Care and Kindness at 866-459-7225 or visit www.simpleacts.org for additional information. Tattle tales. We are taught as children that no one likes a tattle tale. However, it is vitally important that children learn the difference between tattling about unimportant things and telling someone when bullying is taking place. Retaliation. While the adult may be able to address the issue with the child doing the bullying at the time, but they aren’t always going to be around. There is nothing scarier than having a bully retaliate. Liar, liar. Some children are skittish to tell an adult for fear of not being believed. Some will even believe that maybe they did something to bring the bullying on themselves. No help. A majority of children believe that telling an adult does nothing to stop the bullying. Sadly, research tends to support this thought. Often kids are told to “toughen up”, or “that it is just a part of growing up”. Shame. When children are bullied, they often feel ashamed or embarrassed. These feelings alone can keep them from reporting issues, because they don’t want people to know that they were being bullied. If you would like to learn more about simple acts of kindness, contact Simple Acts of Care and Kindness at 866-459-7225 or visit www.simpleacts.org for additional information. Now that we are smack-dab in the middle of back-to-school season, it is important that parents are sensitive to our children as they report the day’s events. Keeping an eye on their daily attitudes will help catch any signs of depression or adverse effects from fights with friends or bullying. It is a fact: one in 3 children in the United States are overweight or obese. Childhood obesity puts kids at risk for health problems that were once seen only in adults, like type 2 diabetes, high blood pressure, and heart disease. Sadly, children are cruel when it comes to physical differences, so unfortunately, a child suffering from obesity is likely to suffer from bullying. It is important to teach your child not to let words affect them, but it is also important as parents to prevent unhealthy lifestyle choices for our tiny humans. Thankfully, childhood obesity can be prevented. Communities, health professionals, and families can work together to create opportunities for kids to eat healthier and get more active. Make small changes as a family, like keeping fresh fruit or going on a family walk after dinner. Motivate teachers and administrators to make schools a healthier environment for every child by providing healthy food options, daily physical activities and lessons about bully prevention. If you would like to learn more about National Childhood Obesity Month, contact Simple Acts of Care and Kindness at 866-459-7225 or visit www.simpleacts.org for additional information. In the current climate, it’s fitting that we take a moment to reflect on a law passed in California that protects public school children from bullying. That law? Seth’s Law. Seth’s Law is a 2012 law that strengthens existing state anti-bullying laws to protect all students. This law requires CA public schools to update their anti-bullying policies and programs, focusing on protecting students who are bullied based on their actual or perceived sexual orientation and gender identity/gender expression, as well as race, ethnicity, nationality, gender, disability, and religion. California law says that all public school students should have equal rights and opportunities. Yet many lesbian, gay, bisexual, transgender, and questioning students report that they experience significant bullying in California schools. And teachers, administrators, and other staff often fail to address the bullying when they see it. Seth’s Law is named after a 13-year-old California student who tragically took his own life in 2010 after years of anti-gay bullying that his school failed to address. 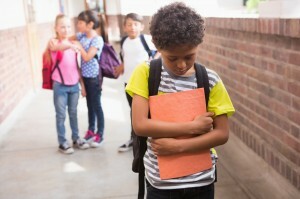 Under this law, school districts will adopt a strong anti-bullying policy that prohibits bullying and implement a specific process for receiving and investigating complaints of bullying, including a requirement that school personnel intervene if they witness bullying. Additionally, publicize anti-bullying policy and complaint process, including support materials in all schools, offices and district websites. If you would like to learn more about Seth’s Law and what you can do to prevent bullying, contact Simple Acts of Care and Kindness at 866-459-7225 or visit www.simpleacts.org for additional information. Individuals bully for a number of reasons, understanding why they bully can help you overcome bullying or help others who may be being bullied move past it as well. The truth is bullies are basically lashing out as a form of concealing their own troubles or shortcomings. Walk away from the bully. Bullies want to know they have control over your emotions so don’t react with anger or retaliate with physical force. If you walk away, ignore them, or calmly and assertively tell them you’re not interested in what they have to say, you’re demonstrating that they don’t have control over you. Protect yourself. If you can’t walk away and are being physically hurt, protect yourself so you can get away. Your safety is the first priority. Report the bullying to a trusted adult. If you don’t report threats and assaults, a bully will often become more and more aggressive. In many cases adults can find ways to help with the problem without letting the bully know it was you who reported them. Repeat as necessary. Like the bully, you may have to be relentless. Report each and every bullying incident until it stops. There is no reason for you to ever put up with bullying. By changing your attitude towards bullying you can help regain a sense of control. Try to view bullying from a different perspective. The bully is an unhappy, frustrated person who wants to have control over your feelings so that you feel as badly as they do. Don’t give them the satisfaction. Look at the big picture. Bullying can be extremely painful, but try asking yourself how important it will seem to you in the long run. Will it matter in a year? Is it worth getting so upset over? If the answer is no, focus your time and energy elsewhere. Focus on the positive. 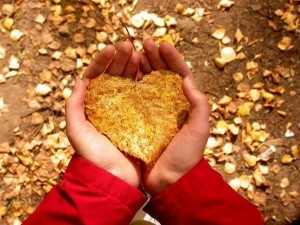 Reflect on all the things you appreciate in your life, including your own positive qualities and gifts. Make a list and refer to it whenever you feel down. Find the humor. If you’re relaxed enough to recognize the absurdity of a bullying situation, and to comment on it with humor, you’ll likely no longer be an interesting target for a bully. Don’t try to control the uncontrollable. Many things in life are beyond our control—including the behavior of other people. Rather than stressing, focus on the things you can control such as the way you choose to react to bullies. Having trusted people you can turn to for encouragement and support will boost your resilience when being bullied. Reach out to connect with family and real friends (those who don’t participate in bullying) or explore ways of making new friends. There are plenty of people who will love and appreciate you for who you are. Find others who share your same values and interests. You may be able to make friends at a youth group, book club, or religious organization. Learn a new sport, join a team, or take up a new hobby such as chess, art, or music. Share your feelings. Talk to a parent, counselor, coach, religious leader, or trusted friend. Expressing what you’re going through can make a huge difference to the way you feel, even if it doesn’t change the situation. Boost your confidence. Exercise is a great way to help you feel good about yourself, as well as reduce stress. Punch a mattress or take a kick boxing class to work off your anger. Don’t beat yourself up. Don’t make a bullying incident worse by dwelling on it or replaying it over and over in your head. Instead, focus on positive experiences you’ve had(Source: help guide.org). It’s important to keep in mind that it’s probably the bully thats actually suffering and not to dwell on it or think you’re less than. Recovering from bullying can take time, and everyone heals at his or her own pace. However, if you do find yourself dwelling on the incident(s), it’s important for you to seek help from a parent, school counselors, a teacher or a professional therapist. When winter break finally arrives, you have definitely earned some rest! However, the school year isn’t over – so relaxation and a plan of action to tackle the remainder of the school year are heat things to do during your winter break. Recharging while structuring the remainder of your school year is a great way to hit the ground running in 2016 and upon arrival back at school. 1. Turn off your alarm clock: Is there anything better than switching off the alarm and sleeping in? Nope! 2. Binge-watch something! : It doesn’t matter which show you choose. The sheer joy of being able to do something unproductive for a few hours is what makes this a great relax-and-recharge tool. 3. Read: Grab that book that everyone’s been talking about, curl up and check out. 4. Get Outside: There’s nothing like fresh air to reinvigorate the senses. Talk a jog or a walk, regular exercise will keep you energized and your immune health up. 5. Take Naps: Take every opportunity to catch up on your rest during vacation. 6. Defining Goals: Take some time over the holiday break to write down on paper as many of your goals you hope to accomplish in the new upcoming year. 7. Create an Action Plan: Once you’ve defined your 2016 goals, set in to motion how you’re going to accomplish them. Finding that balance is the key to a winter break that is not only restorative for you, but provides long-lasting benefits into the remainder of the school year and beyond! It’s that time of year again, do you hear the school bells ringing? It can be hard to adjust from summer and begin to focus on school again. Heading back to school comes with a lot of emotions. Excitement, anxiety just to name a few! Some of us cope with returning to school differently than others. Some are hopeful, some are fearful, some are completely unprepared for the new school year to even start! For kids, one of the biggest back-to-school fears is “Will I like my new teacher?” Breaking the ice early on is one of the best ways to calm everyone’s fears. Take advantage of your school’s open house or back-to-school night. Some teachers welcome phone calls or e-mails — another great opportunity to get to know each other before the year begins. If personal contact with the teacher isn’t possible, try locating the teacher’s picture on a school website or in a yearbook, so your child can put a name with a face. If your child’s teacher sends a welcome letter, be sure to read the letter together. If your school hosts an open house, be sure to go. Familiarizing your child with her environment will help her avoid a nervous stomach on the first day. Together you can meet her teacher, find her desk, or explore the playground. With an older child, you might ask him to give you a tour of the school. This will help refresh his memory and yours. A familiar friend can make all the difference when heading back to school. You might try calling parents from last year’s class and finding out which children are in your child’s class this year. Refresh these relationships before school starts by scheduling a play date or a school carpool. Obtain the class supply list and take a special shopping trip with your child. Having the right tools will help him feel prepared. While keeping basic needs in mind, allow for a couple of splurges like a cool notebook or a favorite-colored pen. These simple pleasures make going back to school a lot more fun. School supply lists also provide great insight into the schoolwork ahead. Get your child excited about upcoming projects by explaining how new supplies might be used. Let him practice using supplies that he’s not used before — such as colored pencils or a protractor — so he will be comfortable using them in class. When it’s almost time to stop playing, give a five-minute warning. Giving clear messages to your child is very important. Chat about today’s events and tomorrow’s plans. While it is important to support learning throughout the summer, don’t spend the last weeks of summer vacation reviewing last year’s curriculum. All kids need some down time before the rigors of school begin. For some kids, last-minute drills can heighten anxiety, reminding them of what they’ve forgotten instead of what they remember. Switching from a summer to a school schedule can be stressful to everyone in the household. Avoid first-day-of-school mayhem by practicing your routine a few days in advance. Set the alarm clock, go through your morning rituals, and get in the car or to the bus stop on time. 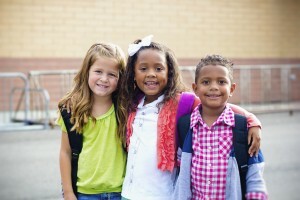 Routines help children feel comfortable, and establishing a solid school routine will make the first day of school go much smoother(Source: pbs.org). Every new school year is a opportunity for a fresh start, new friends, and to make it count. You have the potential to make this year one of the best ones yet! Beyond name recognition and a familiar face, celebrities who speak about having been bullied are also living proof that sometimes the very thing that brought them torment when they were younger turned out to be their triumph. Justin Timberlake once told Ellen DeGeneres, “I grew up in Tennessee, and if you didn’t play football, you were a sissy. I got slurs all the time because I was in music and art.” Tyra Banks has said, “People called me Olive Oyl, Lightbulb Head, and Fivehead, because my forehead was so big.” And Victoria Beckham told Elle Magazine, “They were literally picking things up out of the puddles and throwing them at me, and I just stood there, on my own. No one was with me. I didn’t have any friends. People would push me around, say they were going to beat me up after school, chase me. It was miserable, my whole schooling, miserable. I tried to be friends with people, but I didn’t fit in. So I kept to myself.” It’s hard to believe that these people were bullied. Such bright talents in the music and fashion world. It can happen to any of us. So how did these celebrities overcome their bullied pasts? Justin Timberlake wants you to just, ‘Rock it! And BE DIFFERENT!’ We couldn’t agree more! Many people can resonate with a familiar face, we’ll be bringing you more stories of celebrities that have triumphed over bullying.